Night splint to help relieve pain associated with Plantar Fasciitis or Achilles Tendonitis. Do you experience excruciating foot pain first thing in the morning? One way to help relieve Plantar Fasciitis or Achilles Tendonitis is to wear a night splint. 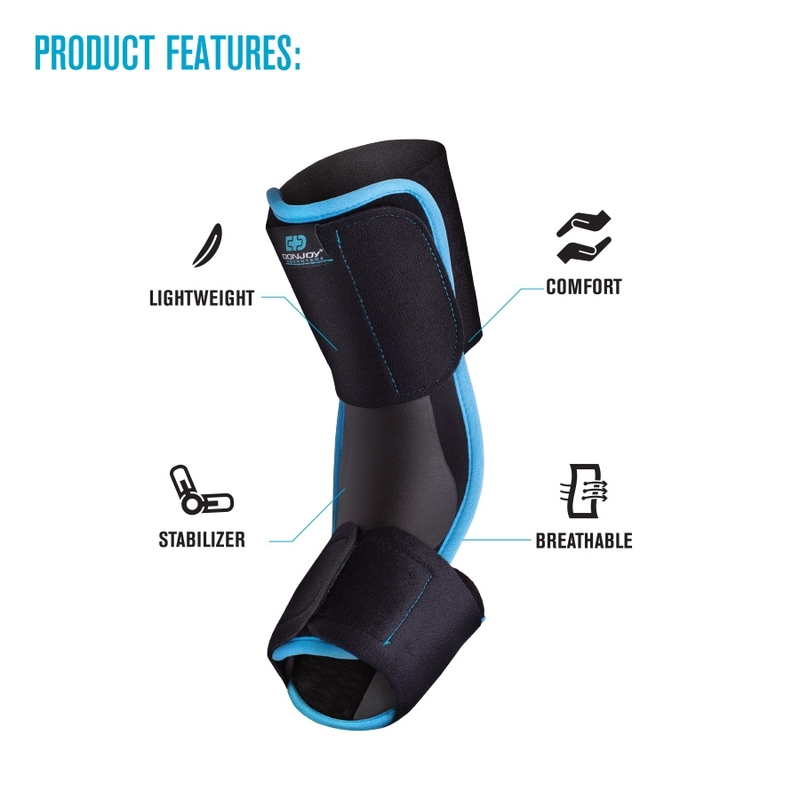 The DonJoy Advantage Plantar Fasciitis Night Splint is a comfortable, lightweight foot splint that's designed to stretch your foot and keep it at a 90-degree angle throughout the night, helping to alleviate that morning foot pain. Note: The DonJoy Advantage Plantar Fasciitis Night Splint is not a walking foot brace or load bearing brace. Intended use is for recovery/pain relief and should wear during sleep. The DonJoy Advantage Plantar Fasciitis Night Splint helps ease foot pain associated with Plantar Fasciitis and Achilles Tendonitis. Designed as a low-profile, lightweight night splint, this splint keeps the foot in a 90-degree position all night, providing a nice stretch to relieve foot aches. The rigid shell has foam padding for additional comfort and two straps to hold the splint in place. The Plantar Fasciitis Night Splint is easy to put on and adjust, and can be worn on the left or right foot. Note: Do not walk in brace; not load bearing. Place the splint on top of your foot and shin. Then secure the bottom and top straps. Adjust as needed. Size is based on your shoe size. Place the splint on top of your foot. Then secure the bottom and top straps. Adjust as needed. I had severe pain at my heel due to plantar fasciitis caused by new pair of shoes I bought. I wore DJA PLANTAR FASCIITIS NIGHT SPLINT for two consecutive nights (while sleeping) and pain went from a 9 to 5 and then to 1. Amazing!!! It needs a second leg strap. 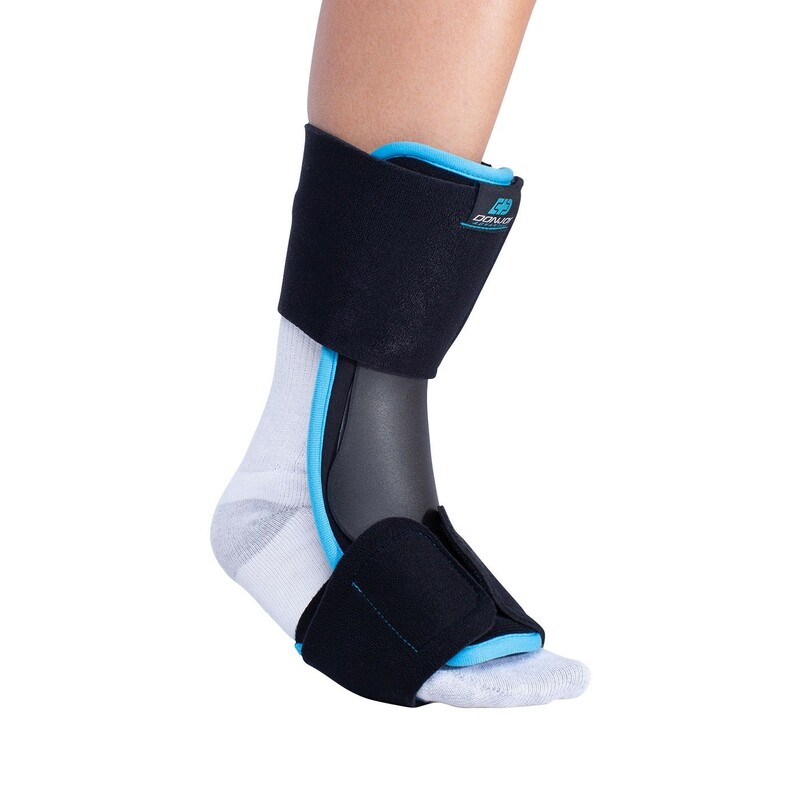 I like this brace Fasciitis splint, except that it needs a second strap that fits around the ankle. I used it for 2 nights and things slipped. I transplanted a 2nd leg strap in the ankle area from another brace that kept my foot from sliding forward in the toe strap. This solution works great! I wish the company provided that extra strap. This splint holds the toes up in walking position and prevents fluid from filling around the fascii. Walking when there is fluid around the facii is the source of the severe pain associated with Plantar Fasciitis. I use this splint to allow the area to heal by wearing it for a couple of months. The last time I used this remedy, I had about 5 years without plantar fasciitis. Cons: Needs a 2nd leg strap. Fit of the product is not for larger shins. The product works, but if you have large calf's like mine, it will not fit well. The plastic is molded for a skinnier shin, and the elastic Velcro piece barely goes around my leg. With the shape of the plastic, it cuts into my shin. Love the size and comfort of this brace. So much smaller than the boot from the doctor!